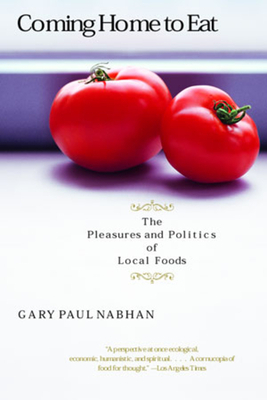 Issuing a "profound and engaging...passionate call to us to re-think our food industry" (Jim Harrison, author of "The Raw and the Cooked"), Gary Paul Nabhan reminds us that eating close to home is not just a matter of convenience it is an act of deep cultural and environmental significance. Embodying "a perspective...at once ecological, economic, humanistic, and spiritual" ("Los Angeles Times"), Nabhan has dedicated his life to raising awareness about food as an avid gardener, as an ethnobotanist preserving seed diversity, and as an activist devoted to recovering native food traditions in the Southwest. This "inspired and eloquently detailed account" (Rick Bayless, Chefs Collaborative) tells of his year-long mission to eat only foods grown, fished, or gathered within two hundred miles of his home. "A good book for gardeners to read this winter" ("The New York Times"), Nabhan's work "weav es] together the traditions of Thoreau and M. F. K. Fisher in] a soul food treatise for our time" (Peter Hoffman, Chefs Collaborative).